Booker T. & the M.G. 's is an instrumental R&B/funk band that was influential in shaping the sound of Southern soul and Memphis soul. 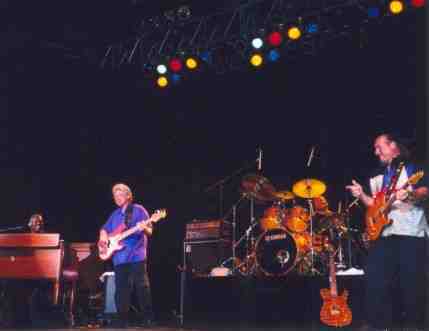 The original members of the group were Booker T. Jones (organ, piano), Steve Cropper (guitar), Lewie Steinberg (bass), and Al Jackson Jr. (drums). In the 1960s, as members of the house band of Stax Records, they played on hundreds of recordings by artists such as Wilson Pickett, Otis Redding, Bill Withers, Sam & Dave, Carla Thomas, Rufus Thomas, Johnnie Taylor and Albert King. They also released instrumental records under their own name, of which the best known is the 1962 hit single "Green Onions".